For over 60 years’ Northern New Jersey homeowners have chosen Classic Remodeling Corp. for all of their exterior home remodeling needs. 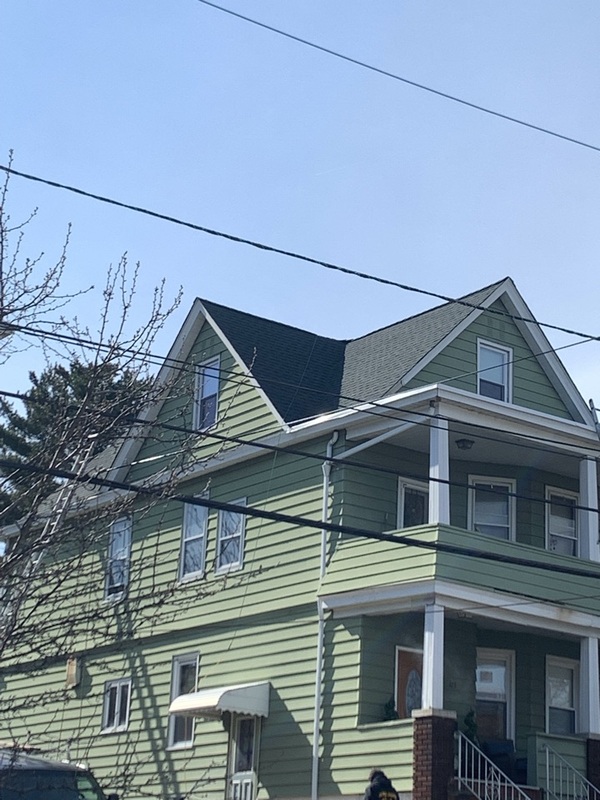 Family owned & operated, we are a roofing company in Garfield, NJ that provides the highest quality craftsmanship and customer service, no matter what size the job is. In addition to roof repair and the installation of new roofs, we are also a siding contractor in Garfield, NJ with a reputation for excellence. Our award-winning exterior services include roofing, siding, vinyl windows, entry doors, French doors and garage doors. Another specialty of ours is seamless gutters, which we measure, cut and install at your home for a perfect custom fit. Since 1955 we have been a leader in roofing and siding in Garfield, NJ, and plan to be here as long as homeowners need our services. You can count on us to be there for any need of further home services or call backs, unlike many other home remodeling contractors. You can be sure that Classic Remodeling Corp. will be “here today and here tomorrow” for many years to come! Today’s roof in Garfield, New Jersey. We are using the Timberline HD Hunter Green shingles. We are a GAF Master Elite roofer that delivers top-notch services for total customer satisfaction. For roof repair in Garfield, NJ or installation of a new roof, replacement windows, doors or siding, contact Classic Remodeling Corp. now. You can rest assured that you’re in experienced and capable hands with us. Call (201) 487-1666 to schedule an appointment or fill out our convenient online form. We look forward to helping you with all of your exterior home remodeling needs!